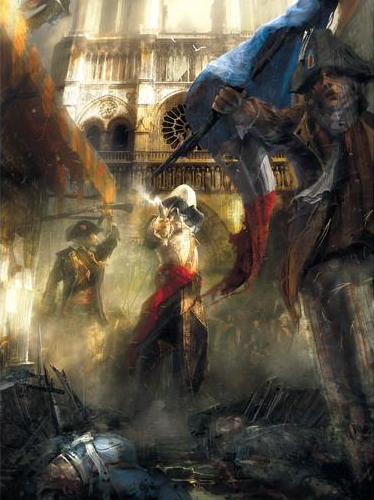 The upcoming Assassin’s Creed Unity won’t be available until November, but there’s already a book chock-full of gorgeous scenes and drawings from the game. The Art of Assassin’s Creed Unity includes over 300 sketches coupled with creator and artist commentary. It will also come with prints signed by two of the artists from the game, Giles Beloeil and Ludovic Ribardière. With the recent addition of exploring China in DLC, the art styles in the book are sure to be varied. The current price for the book is £40.00, which converts to about $64.00 (plus shipping). Retail stores will receive the books around November 13, just in time for the launch of Assassin’s Creed Unity. There will be a limited production of 500 copies worldwide. If you’re an elite Assassin’s Creed fan, this is a must-have.